Back in the late 80s/early 90s, I was a huge 4AD fan and did many fannish things, like running VHS tape chains of 4AD-related video clips and the like. It’s a bit difficult to remember at this remove just what was so important about watching video clips and interviews with these bands now, but this obsession led me to, among many other things, to record quite a bit of stuff from MTV onto VHS. 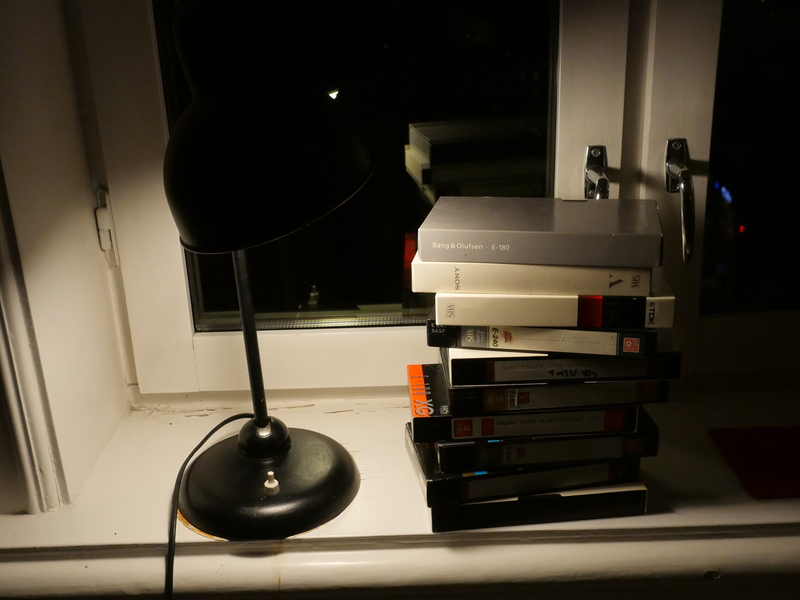 And then I rediscovered a cardboard box full of VHS tapes this autumn. There were about 30 of them, and I thought that this was surely the time to get organisised, digitise them and upload the interesting snips (FSVO) to Youtube. It turned out that there was about fifteen minutes worth of stuff of interest on each tape. Uploading music videos isn’t necessary, since they’re already all there, in better quality and from official sources. So that leaves only live footage and interviews. I did upload some music videos if those made sense in the flow of an interview. If they’re saying “and let’s look at that video now”, it would be kinda awkward to cut it out, so I left them in and wondered what the Youtube copyright system would do: Give me copyright infringement warnings, block the account, or what? It turns out that it’s less dramatic than that: For the vast majority of the snippets, Youtube notified me that the videos are copyrighted, and that I can’t monetise my uploads because of that. Which is fine, because I wouldn’t do that anyway. Hey! I was there in London at that festival! It’s taken some time to get all the tapes processes. Not because it’s a lot of work; it’s not: I just push play on the VHS and then four hours later (i.e., when I get back from work) there’s a .mov file that I can then cut snippets out of with Lightworks, and doing the editing takes, like, five minutes or so per tape. Anyway, here’s the list of snippets I’ve uploaded. If you’re a 4AD fan, there might be some amusement to be found here… And there’s also some other non-4AD odds and ends sprinkled between. And there’s some duplicates, I’m sure, since MTV tended to do re-runs. Oooh, Bettie Serveert! Finally a band I recognize. aaahhh it’s YOU! I’ve spotted your uploads on my daily 4AD YouTube searches and wondered who was behind it. Excellent! Keep them coming.